I signed up with Bridge of Life (BOL) as a volunteer because I felt the need to do something with extra meaning in my life. As a younger woman, I had the chance to travel South America and dabbled a bit in family planning and breastfeeding education, and, boy, did I feel an enormous sense of reward. So I was thrilled when I received a call for an interview from BOL and even more thrilled when I found out the mission would be to Guatemala. I had visited Guatemala about 20 years ago, just as their civil war was ending. 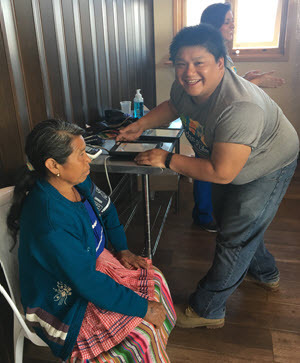 I was a tourist inspired by the love of beautiful textiles, the Incaparina case study in college (a study on nutrition) and my Guatemalan friends and patients in Los Angeles. They expressed their love of country with a mixture of pride and sadness for the conditions they fled back home. I had to experience Guatemala for myself. As I travelled from the most “touristy” places, such as Tikal, to some of the smallest towns in Huehuetenango, I kept telling myself I would come back some day but in a different capacity. I hoped to put a little grain of sand in the construction of a brighter future for those who struggle to create a better life for their families. I have been fortunate enough all of my life to have food, clean water, a home, access to healthcare, and more, so this opportunity was a reminder of how many people in this world still live in poverty and do what is needed to survive. 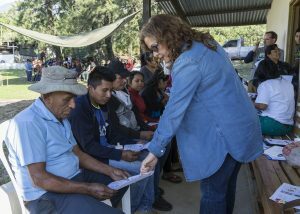 The experience on the coffee farm in Guatemala was very personally rewarding, a dream come true and then some. Our days on this chronic kidney disease screening mission started early, with station set-up at designated locations. Shortly after, the flow of patients started and didn’t stop until the last person was seen, usually in the late afternoon. I helped a for a short time at the registration desk but was then assigned to the preventative education station, where I would remain all three days having one of the best times of my life, despite how exhausted I was. I felt that the participants were highly appreciative to learn their screening test results and information on how to better maintain their kidney health. And I trusted that most people who I saw would make at least some change in their lives and that of their families based on this education. Sometimes those small changes can make a great difference in the long run, and that belief fueled my energy to do justice to their needs. As with most education, I also began to learn new things even as the teacher, but in this case the lessons were so very humbling. When I tried to educate on drinking more water, I learned that not all water is “equal.” There is “pure water,” and then there is gaseosa or “Coke water” – the preferred drink since most of the workers have limited access to good drinking water. And, if you are going to buy bottled water, you might as well get the sweet stuff and get some pleasure out of it (and for most, some much needed calories). When I tried to teach about integrating more vegetables into diets, I learned the names of the green, leafy vegetables that these individuals consume and that most people really enjoy them, but there is not enough water to grow them at home, and vegetables from the market often spoil within two days. When I tried to talk about the need for protein, I learned that most eat “vegan,” but only by necessity, not by choice. And I learned that one chicken can feed 10 people but is a luxury meal that’s reserved for once a week (maybe). When I tried to educate participants about their lab results, I learned that many individuals had never even seen a doctor, and if they had, that lab tests and results were never explained to them (if they even received any tests at all). As I continued to provide preventative education, I learned that these individuals appreciated silly jokes by shyly laughing as I tried to make them feel more comfortable in a didactic environment that they were unfamiliar with. Getting a formal education is not much of an option in a society where people are put to work at a very early age to help their family survive. But perhaps the greatest thing I learned is that, despite their struggles, the rich Mayan culture of these people shines through. With only a few handfuls of beans and some corn tortillas to sustain them, the women wrap themselves in their beautiful, colorful huipiles, the men prepare themselves for the day, and they all make the long, daily trek to the coffee farm motivated by the love of their children and families. 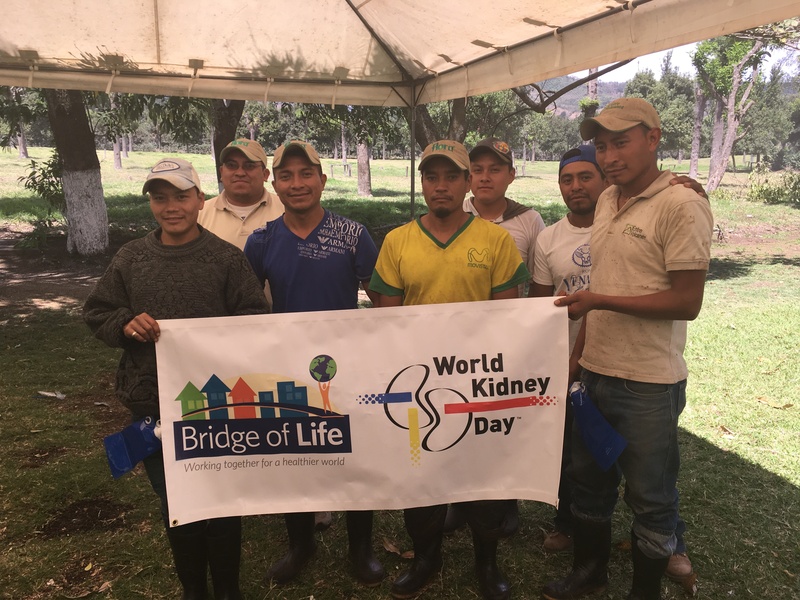 Chronic kidney disease is becoming a common illness in rural areas of Guatemala and particularly for agricultural workers due to factors such as long workdays, limited access to proper hydration and work labor. As part of our Screening & Prevention Program, Bridge of Life (BOL) is working with in-country partners to provide chronic kidney disease screenings to different agricultural workers, such as coffee farmers and banana plantation workers, in Guatemala. In March 2017, BOL and a team of volunteers traveled to Antigua, Guatemala and screened over 800 coffee farmers and their families for chronic kidney disease over World Kidney Day at Bella Vista Farm. Read about our team’s firsthand experiences in the field, conversations with the coffee farmers and our volunteers’ own personal stories in our blog series from this mission, A Stirring Reality: Screening Guatemala Coffee Farmers for Kidney Disease. Check out the first two chapters, and stay tuned for future chapters announced on our Facebook page! Uncertainty is a catalyst for speculation. This being my first shot at world health services, my expectations from a medical mission like this one weren’t specific. I had created wonderful stories in my head of how simple and scientific this trip was going to be. 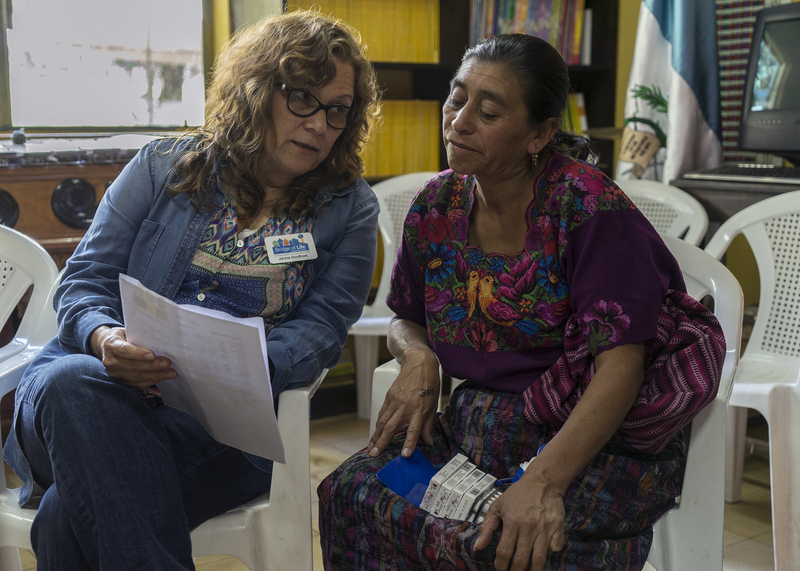 CKD is an epidemic in this region, and we were going to gather data and get to the bottom of it. And, on the way, we’d help educate and treat those in need. Sounds easy, doesn’t it? I mean, I like helping people. The idea of simple was eviscerated when I began taking vitals for the first of many coffee workers’ children. I asked the first child, “Wait, you’re 15?” He replied, “Yes.” With a smile, I asked if he was just hanging out with his mother or father today. He replied, “No,” which led me to ask, “Do you work here?” The boy looked at me, smiled and said proudly, “Yes!” My next question was, “For how long?” “Three Years,” was his response. I was completely naïve to the idea that it was commonplace for people in this area to begin working on a farm at such a young age. At 15, I was attending high school, and the only labor I endured was taking out the trash, cleaning my room and washing dishes from time to time. I also encountered a young man who asked me about my Star of Life tattoo on my right arm. The man asked if I was a firefighter, and I replied, “Yes, a volunteer.” The young man’s face lit up: I symbolized something to him, which filled him with pride. 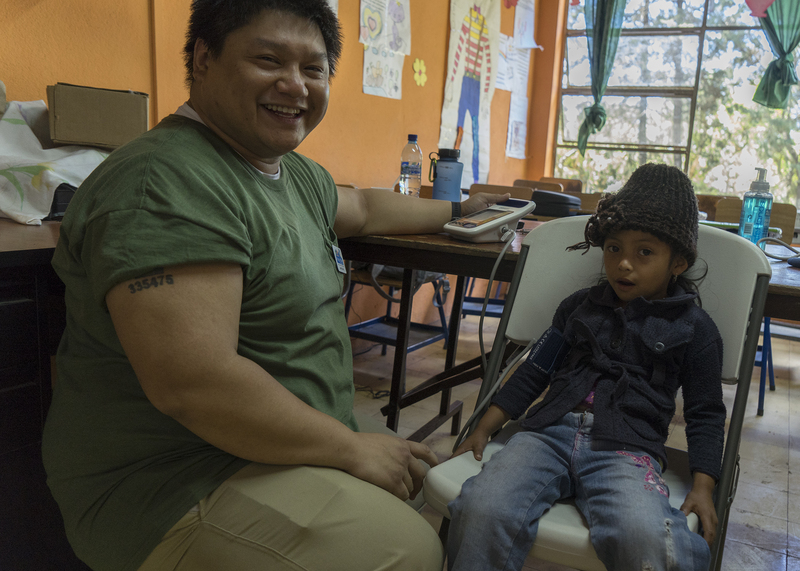 He, too, was a volunteer firefighter, but in Alotenango. And on this day, he connected with someone from a completely different world, but with the same passion. We shared photos of our fire trucks and squad members and a few stories. At first, I wasn’t sure what to make of this interaction, but I was still early on in the week’s journey. I reflect on a week that I’ll never forget. In fact, I’d like to expand on what our team did in Guatemala this week. I’d like to see how far our impact can truly reach. 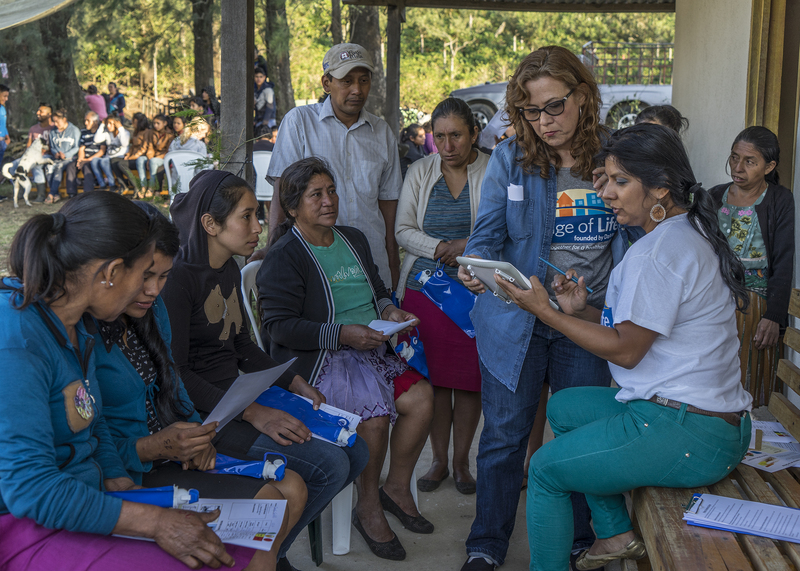 After all of the interactions I’ve had with the people and workers in Guatemala, I have a much more certain understanding of BOL’s goal: we gave these people life, and in return, they gave us life. The level of fulfillment from that realization is astonishing. I walked into this mission with one expectation and left with a completely different and humbling one.